Surprisingly, the Galaxy Note 4 walks out of all of them with the screen intact and working perfectly. 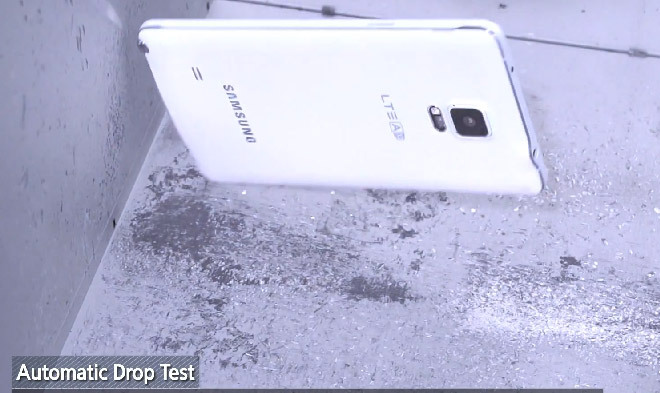 The video doesn’t focus on any visual damage that the tests might’ve caused, but having the Note 4 work at the end is impressive. The metal frame that debuts on the Galaxy Note 4 greatly enhances the phone’s durability, while the Gorilla Glass 3 prevents the screen from shattering. Check out the video below, but be warned – it’s not a pretty sight.